For those who suffer Cauda Equina Syndrome, doctors and medical treatments become daily life. Partial or total paralysis, incontinence, impotence, and severe pain from the compression of nerves mcan be costly to treat or live with. Sufferers can be overwhelmed with medical bills and other expenses, but help is sometimes available with a Cauda Equina Syndrome lawsuit. When diagnosed properly, the syndrome can be effective treated. However, misdiagnosis does often lead to the many severe complications of the disease. In the case of misdiagnosis, diligent representation from expert medical malpractice attorney Lisa Levine can help sufferers receive compensation for medical expenses and more. 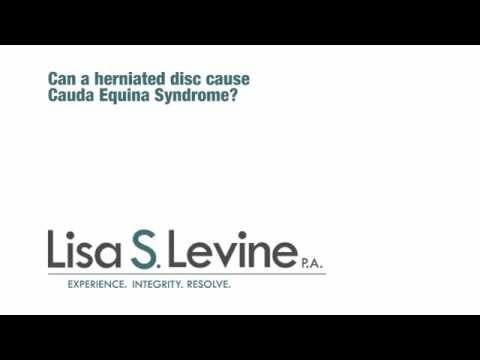 The basis of a lawsuit for those who suffer severe symptoms of Cauda Equina Syndrome is that when properly diagnosed and treated, these often permanent complications can be avoided. It is when the syndrome is not diagnosed timely (or at all) that severe and many times irreversible symptoms due to nerve damage are presented. The lack of proper treatment caused injury that would not have occurred otherwise. 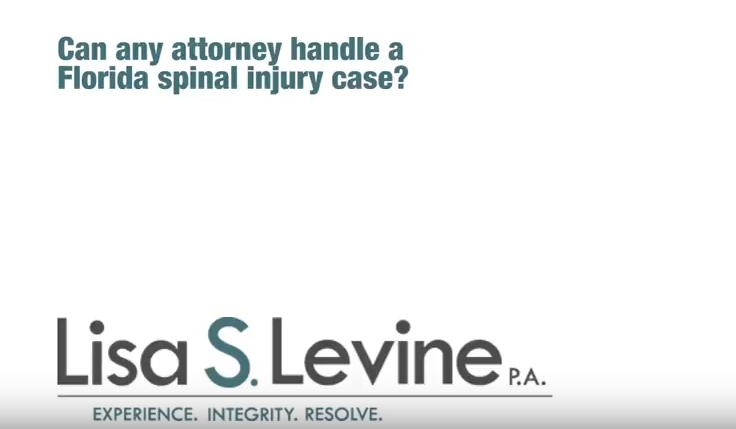 Medical negligence must be proven in order to receive compensation in a medical malpractice case for Cauda Equina Syndrome. It is not always easy to prove medical negligence, but there are a few things that can help you and your attorney support your claim. Medical records. A copy of any and all medical records you can collect pertaining to your Cauda Equina Syndrome diagnosis and misdiagnosis should be obtained. These records help prove you sought medical attention and were incorrectly treated or misdiagnosed, resulting in your injuries. An expert’s opinion and testimony. 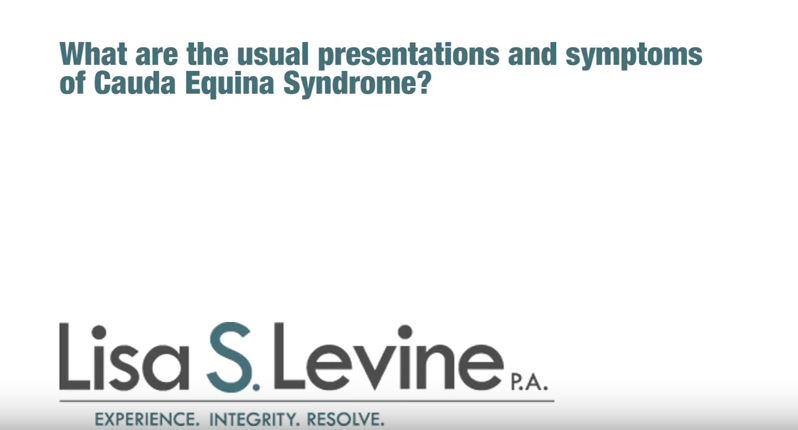 A medical expert who can evaluate your claim and confirm your diagnosis can testify that your current injuries are the result of your Cauda Equina Syndrome’s progression, and that they could have been prevented with proper diagnosis previously. 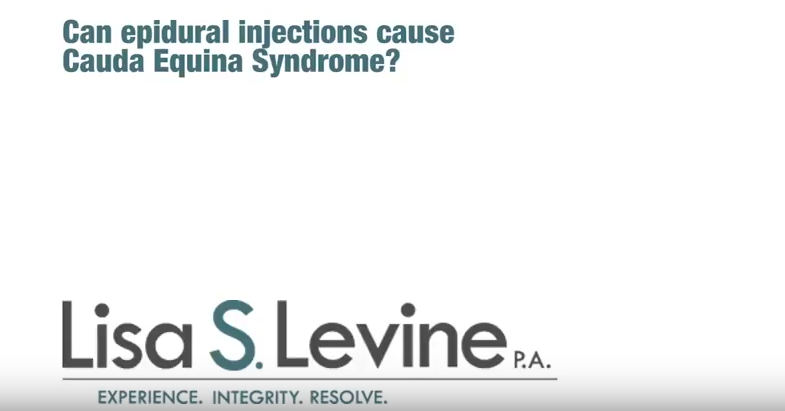 Proving medical negligence with Cauda Equina Syndrome can be difficult and require a lot of knowledge of the laws surrounding medical malpractice. This is why it is important to consult an experienced medical malpractice attorney if you suspect your injuries are the result of a misdiagnosis. 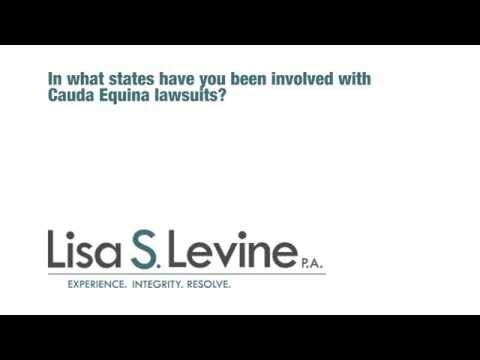 Lisa Levine takes on Cauda Equina cases from across the nation, and to the best of her knowledge, she has handled more cases of CES caused by medical negligence than any other attorney nationwide. She has handled and consulted on more than 60 cases across the U.S., including in New Jersey, Utah, California, Wisconsin, Florida, Alabama, Georgia, Louisiana, New York and Texas. In Florida, she has helped CES patients throughout the state, including in Fort Lauderdale, West Palm Beach, Miami, Tampa, Orlando and Ocala. She can review your medical records and help you find a medical expert to help in your claim. Lisa Levine has been helping her clients through stressful medical malpractice claims for over 20 years. She devotes her life to protecting her clients who suffer due to the negligence of others. If you or a loved one suffer severe injuries from Cauda Equina Syndrome due to misdiagnosis, give us a toll-free call at 855-551-8060 or fill out our contact form online for a free consultation. A 63-year- old woman who went into the hospital for a laminectomy immediately presented with symptoms including incontinence, bowel and sexual dysfunction after surgery. She was discharged 4 days later with a foli catheter and returned two days later because of the symptoms that included a deficit in her ability to walk. 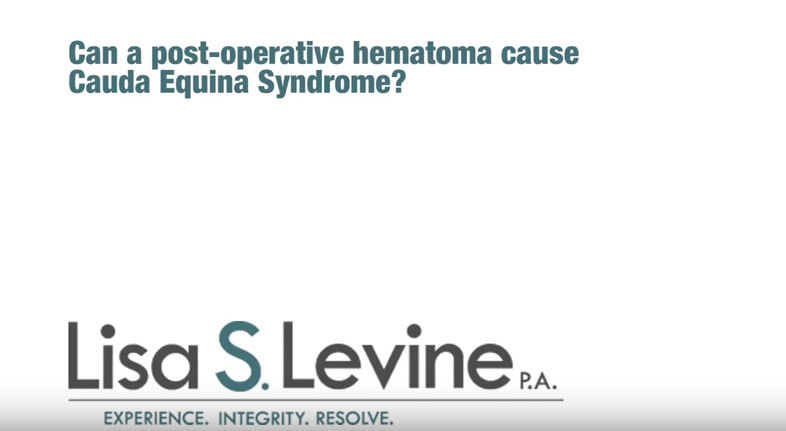 She was diagnosed with cauda equina syndrome (CES) and operated on to remove a hematoma that had developed, but it was too late and all of her symptoms are permanent. R.K. went to the emergency room showing symptoms associated with Cauda Equina Syndrome. R.K. was discharged with instructions for bed rest after an improper evaluation by a physician assistant student. During a later hospital admission, R.K. was immediately diagnosed with Cauda Equina Syndrome and had emergency surgery. Unfortunately, because of the delayed diagnosis and treatment, the R.K. now suffers from permanent injuries associated with CES.